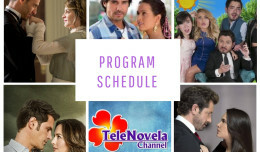 The Two Sides of Ana: Episode 35 | TeleNovela Channel - Bringing you closer to lifes drama. Ignacio disappoints Humberto for not showing up at business meetings with Aurelio. On the other hand, Ignacio threatens to kill Vania if she tells Humberto about the drugs she found in his clothes. Meanwhile, “Marcia” assures Vania that she is not interested in Ignacio.